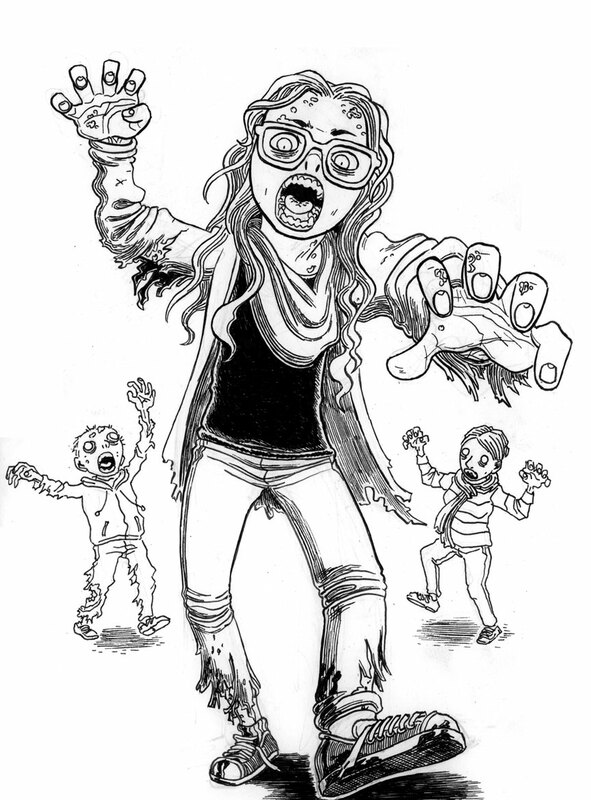 Another child-safe zombie portrait for an exceptionally awesome “Map of Zombies” backer (she asked to appear in the background of all the portraits — can you recognize her?). Due to the move, I’m going to be updating the site for a week or three in advance. OH! And before I forget! I’m contributing a foldout map to issue #5 of Cartozia Tales, the all-ages shared-world fantasy comic series born from Kickstarter and shepherded into existence by Isaac Cates. Jen Vaughn, another artist, introduced me to Dr. Cates, and so I ended up drawing a map of the Caverns of Cartozia (or rather, a specific part of Cartozia). I think it turned out well, so please check it out! I’ll write to you soon from San Francisco! !